Ontario prosecutors knew serial killer Elizabeth Wettlaufer had committed a second additional crime against a patient in her care, but kept it secret from the public and a multimillion-dollar public inquiry looking into why the former nurse’s crimes against patients went undetected for so long. Ontario prosecutors knew serial killer Elizabeth Wettlaufer had committed a second additional crime against a patient in her care, but appear to have kept it secret from the public and a multimillion-dollar inquiry looking into why the former nurse's crimes against patients went undetected for so long. CBC News has learned that police determined Wettlaufer used a pillow to smother a patient at a Woodstock, Ont., care home at some point during her employment there. The patient, who hasn't been identified, but was a resident of the Caressant Care facility, survived the attack. Wettlaufer confessed to the assault in January 2018, prompting police to launch a criminal investigation. The former nurse is currently serving a life sentence for killing eight patients in her care, and assaulting or attempting to kill six others. Last week, CBC News revealed Wettlaufer admitted to another crime involving a dying woman at a London, Ont., care home that had also gone unreported. As part of their probe into the smothering, Woodstock police served a court order on Caressant Care in March 2018, demanding the facility turn over the patient's care records. Police eventually gathered enough evidence to conclude the attack constituted a criminal assault on the victim. However, Crown prosecutors decided not to charge Wettlaufer. CBC News has contacted Ontario's Ministry of the Attorney General to determine why the public and the inquiry were seemingly kept in the dark. The ministry has not replied as of Thursday afternoon. A spokesman for Caressant Care confirms the facility co-operated with police probe, but said it was never told about what was uncovered. "Caressant Care complied with its obligations in this matter; co-operated with the Woodstock Police Service, and then never heard back from them again," said Stuart Oakley, the facility's communications and marketing manager, in an email. Oakley declined to say if Caressant Care notified the patient's family about the police investigation. The facility did notify the inquiry in March 2018 that a new criminal investigation was underway. The inquiry is now in its final stages. This is the second, previously unreported crime Wettlaufer committed that was shielded from the public. 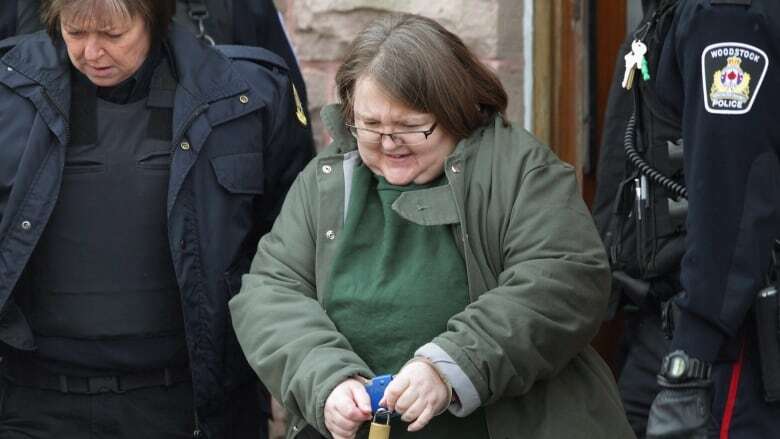 Last week CBC News reported that the same prosecutors were aware Wettlaufer also admitted to attacking 77-year-old Florence Beedall at a London, Ont., care home. Wettlaufer injected the Beedall with insulin, and she died about 90 minutes later. But police had no evidence to prove the insulin was what actually killed the terminally ill woman. The new smothering case kept secret from the public isn't sitting well with Daniel Silcox. Wettlaufer was convicted of murdering his father, James Silcox, at Caressant Care. She had injected the Second World War vet with lethal amounts of insulin. "I'm very upset about it. I'm disappointed and disgusted. We should have had the right to know about this," said Silcox. In a statement to CBC News on Monday, the inquiry acknowledged it also knew about Wettlaufer's most recent confessions. The inquiry didn't make the information public. "On January 5, 2018, the commission was made aware that Elizabeth Wettlaufer had disclosed to staff at the Grand Valley Institution for Women that she had attempted to harm two other residents and that police investigations into the alleged further wrongdoing were underway," said a statement from the inquiry's communications director Peter Rehak. "While the further police investigations were underway, the commission took no steps because anything that might have been done could have interfered with those police investigations." added Rehak. Rehak says it wasn't until December 2018 — months after the Inquiry ended — that prosecutors finally revealed additional crimes had been committed. The inquiry still hasn't received any documentation, according to the statement. However, CBC News has learned that prosecutors had already determined no new charges would be laid by June 2018 — around the same time the inquiry was getting underway. Silcox wonders if there's anything more to these cases police or prosecutors have kept from the public. "They're working under their own shroud of secrecy ... it's disrespectful. There has to be more respect for the people," he said. "We have no idea what this woman was actually up to. I believe the extent of her damage reaches far beyond what we know." Until now, it was believed Wettlaufer killed all of her victims by injecting them with insulin. It now appears she may have used another method as well. That possibility was never raised during the inquiry, which is now in the final stage of determining what recommendations may help prevent similar crimes in future.